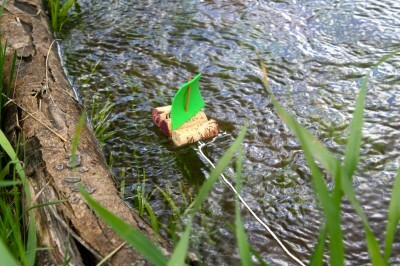 Easy little boats made from old wine corks. A great recycling project for kids. You can purchase bags of wine corks from the craft store if you don’t have any on hand.